The month of December can only mean one thing. Christmas, right? The countdown to the 25th creates havoc in a society obsessed with Christmas. However, looking beyond these festivities, Hanukkah takes place. Hanukkah or ‘Chanukah’ is an eight-day Jewish festival of lights. This year it is celebrated from the 2nd to the 10th December. It is typically celebrated with a nightly menorah lighting, prayers, and fried foods. ‘Chanukah’ translates as ‘dedication’ in English, by means of its historical roots. The story of Hanukkah originates from the Second Century B.C when Israel was ruled by Syrian Greeks. They tried to force the Jewish people to follow Greek culture and beliefs with a rejection of commandment observance and belief in God. A small group of faithful Jews, led by Judah the Maccabee, defeated the Greeks and reclaimed the Holy Temple in Jerusalem. When they tried to light the Temple’s Menorah (a seven-branched candelabrum) they found only a small amount of olive oil that had not been contaminated by the Greeks. They lit the Menorah and the one-day supply of oil lasted for eight days. To commemorate these miracles, the festival of Hanukkah was born. At the heart of Hanukkah is the nightly menorah lighting. It holds nine flames, one flame which is used to light the other eight candles. Each night an additional flame is lit and by the eighth night, all flames are burning. It is customary to recite special blessings before lighting and sing traditional songs afterwards. Every Jewish household has a Menorah and in recent years many cities have seen the erection of ‘jumbo menorahs’. Since the Hanukkah miracle involved oil, it is tradition to eat foods fried in oil. Favourite delicacies include ‘sufganiyah’, the jelly-filled doughnut and ‘latkahs’, Jewish hash browns. If you are interested in joining in the festivities, Brunswick Park hosts Hanukkah festivities every night as another flame is kindled on the large menorah. Offering drinks and doughnuts, it’s a joyous spectacle to watch as people giddily dance to the traditional Jewish music playing from the speakers. 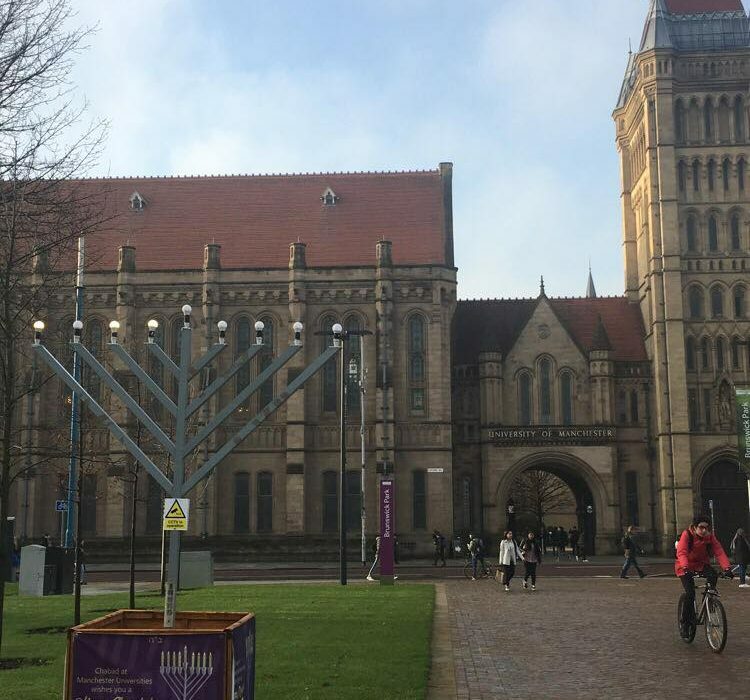 Hanukkah is a well-known festival but it’s not the only one. Other Jewish festivals throughout the year include Rosh Hashana, the Jewish New Year which takes place in autumn. Indulging in a large meal with family, it also involves a lot of praying. Ten days later is Yom Kippur, regarded as the holiest day of the year which requires a period of fasting. Purim takes place in early spring; everyone dresses in costumes to enjoy a meal and give to charity. Furthermore, Simchat Torah commemorates having finished reading the Torah and it usually falls in October. Jewish festivals reflect the importance of upholding cultural beliefs and keeping traditions alive. At a simpler glance, Hanukkah epitomises a passion for spending time with friends and family, the very essence of a Jewish festival.